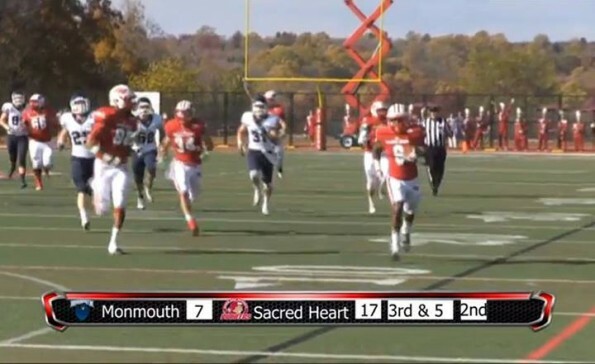 Sacred Heart University may very well have the second coming of Moses on its roster in the name of Moses Webb. Our “C’mon Man” of the year for 2013 (which took us a long time to select from our sports library) features the wideout making one of the most unbelievable fumble recoveries that we have ever seen! The chances of seeing a play quite like this again are virtually impossible! ← Was Kevin Gilbride really to blame for the Giants demise?